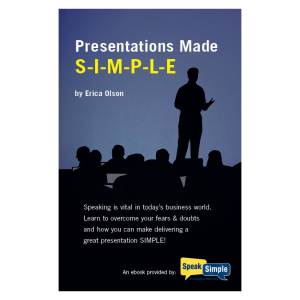 Don’t fret when someone asks you to present, I’ve got you covered with my ebook Booked, Now What?!?! 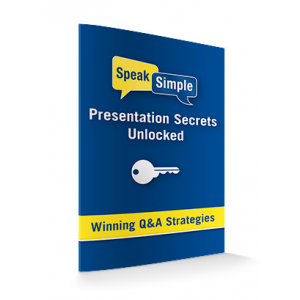 I walk you through simple methods to overcome fears, give you a logistics checklist to make sure everything is ready, and diagrams on where to stand. I also give you a week-by-week outline of what you should do to properly prepare and present your amazing presentation. I even give you suggestions on what to do afterward. Learn the presentation pro’s secrets to developing a great presentation from day 1 for only $5.